Ran in to an interesting conversation comparing Space ships to political philosophies. For example, The Millennium Falcon and Serenity are ancap, Enterprise is socialist and Destiny from Stargate Universe is authoritarian. Well, I think I would start with the ships individually. I think it would be a misrepresentation of both the Falcon and the Serenity to say they are the same. I would say that Mal while Mal runs the Serenity as some sort of a voluntary monarch (he and only he has any say in what he does with his ship, but anyone is free to leave whenever for whatever reason) Han runs his ship as some sort of European style President and Prime Minister with Chewie and himself. Also, it should be noted, Mal bought Serenity fair and square while Han cheated. I don’t remember Han ever pulling rank on Chewie and, in fact, treated him as an equal in most senses. (even if he never got a medal) So both are voluntary, for the most part, but they have different ruling philosophies. As for the enterprise being socialist, it depends on which series of Star Trek you are talking about. I would beg to differ in the original series, but into Next Generation and beyond with a couple exceptions, I think you are correct. Kirk in the original series was as American and constitutionalist as apple pie. When the prime directive became more of a dogma in TNG, they started to sound, look, and feel far more top down socialist. Never saw stargate but, what are your thoughts. Serenity=Minarchist with an leader, almost a tribe. Falcon= Anarchist with a council? Enterprise starts constitutionalist and ends socialist. Destiny, it’s not one of my nerd credentials. That said, a case could also be made for a monarchy on the Galactica. I seem to remember a quote by Gaius Baltar to the effect of “Do you really think anyone will ever lead this fleet whose last name is not Adama?” when speaking of inequality. Very fair points, I suppose its how you look at it. Your assessment is correct, however I saw Serenity as a business, with Mal being the CEO. Mal takes advice from people, but at the end of the day he is the employer. Its been a while since I have seen it to bring up specific ancap ideals, but he definitely didn’t use force unless in defending himself or another, functioned through contract, with Inara on board got the whole person freedom thing, and like you said, they were all able to freely leave if they so wished. 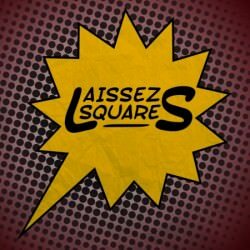 Actually LaissezSquares.com just did an episode about Serentiy/Firefly. Joss Whedon has actually been quoted as saying that Mal is a strait up Libertarian. I think, really, the argument can be made for the entire crew minus Simon.